When should you complete your annual Masteries Professional Development Plan? Whenever you would find the structure, accountability, and support of the MPDP process to be helpful to your continued growth and development as a professional coach. When you’re ready to begin working towards Masteries Practitioner Status. Coaches interested in submitting a Masteries Professional Development Plan proposal may send a request for Masteries Professional Development Plan documents to: Certification@Certifiedcoach.org. Please also refer to the sample proposal and submission documents above. Once a completed proposal is submitted, applicants will meet with an IAC Masteries Professional Development Plan reviewer to insure that they have a comprehensive understanding of how the IAC Masteries Professional Development Plan can support their learning throughout the year. Within 12 months after the proposal is submitted, the applicant will meet again with a reviewer to discuss progress and answer questions for completing the future IAC Masteries Professional Development Plans. Successful completion of the first Masteries Professional Development Plan and passing the Step One online test provides the applicant with the IAC Masteries Practitioner designation. An annual submission of an IAC Masteries Professional Development Plan is required to maintain the IAC Masteries Practitioner as well as the IAC Certified Masteries Coach and Master Masteries Coach designations. 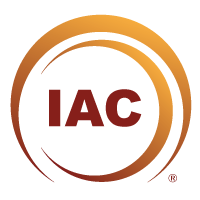 Every five years, coaches holding an IAC credential will meet with an IAC reviewer to discuss their growth as coaches via the Masteries Professional Development Plans and discuss the plan for future Masteries Professional Development Plans. The IAC’s objective is to encourage and support continued professional growth for coaches. The fee for the initial submission of the Masteries Professional Development Plan is $150.00, and a fee of $150.00 will apply every five years thereafter, when subsequent reviews are conducted. If you are interested in immediately pursuing the MASTERIES PRACTITIONER (MP) designation can purchase the discounted “MP” package at a special price of US $319. When purchasing the MP package are expected to complete the process in one year. 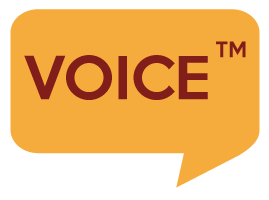 If the process extends beyond a year, members are required to renew their annual membership at fees prevalent at that time.